When Golidlocks guzzled the Three Bears breakfast porridge she was missing a trick. She could have been using it on her face and getting gorgeously soft skin instead of just nibbling a bit here and there and complaining about the rest.A simple oatmeal facepack is the way to go Golidlocks! 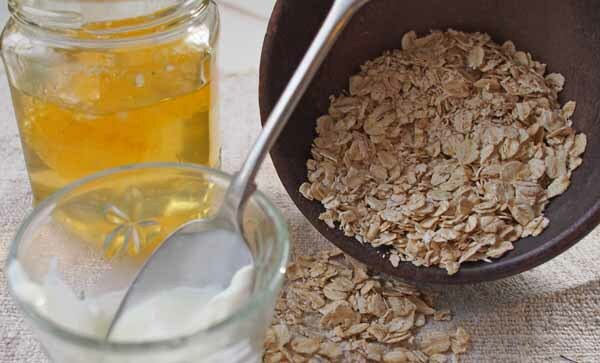 Porridge isn’t just for the three bears and for traditional Scottish breakfasts, oh no, the awesome oat is hugely beneficial in many ways, one of which is in skin care. Not only are oats softening to the skin they also act as an exfoliant to gently remove debris from the surface cells without causing damage to delicate areas. This is great for both dry skin and those prone to the dreaded acne. Adding oats to bath water is also a great way to soften the water too. Mix all your ingredients in a small bowl and then smooth on all over your face. Leave for ten minutes and then rinse off with warm water. This lovely blend soothes and smooths the skin and helps to heal blemishes. Go on gals, live like Goldilocks try this simple oatmeal facepack and don’t just leave the porridge for the bears. How To Clean The Microwave Naturally - With A Lemon!